Alfa Romeo of Cincinnati cares about your car just as much as you do – and to prove it, we will provide you with exclusive customer amenities only available when you bring in your Alfa Romeo to our service department! We are happy to Provide unlimited touchless courtesy car washes from Saturday from 9 a.m. until 3:00 p.m.
Caring for more than your car, we’ll provide you with a loaner car while your vehicle is in for routine maintenance or warranty service. Ask about our Loaner Car Program when scheduling your appointment. 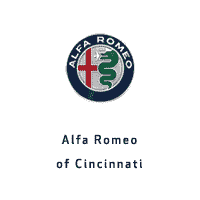 This exclusive amenity is offered by Alfa Romeo of Cincinnati and includes valet pick-up and delivery for service. Ask about the Alfa Romeo Valet when scheduling your appointment. Let us take you where you need to be. Whether it is to the mall or back to work, our Shuttle Service will be happy to drop you off anywhere in the Greater Cincinnati area. Our Alfa Romeo location employs Certified Alfa Romeo Trained Technicians, the most skillful master technicians in the industry with years of experience to care for your vehicle. You can have confidence that your vehicle will be serviced by experts in their field. You’ll stay out of the weather when you bring your vehicle to Alfa Romeo of Cincinnati. Our climate-controlled service drive can accommodate several vehicles at a time – all under-roof and protected from the cold, wind, and rain.